Wishing our customers a Merry Christmas and a Happy New Year! 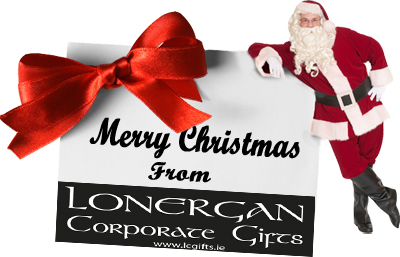 The Team here at Lonergan Corporate Gifts would like to wish you and yours all the best this Merry Christmas and hope you have a prosperous New Year. Thank you for your continued support and business. We look forward to hearing from you in the New Year. We hope to be in regular contact with you next year. Already thinking of 2016? Let us know when you would like to set up a meeting. You can never be too prepared. The Lonergan Corporate Gifts Team. We close on the 24th of December until the 5th of January 2016.